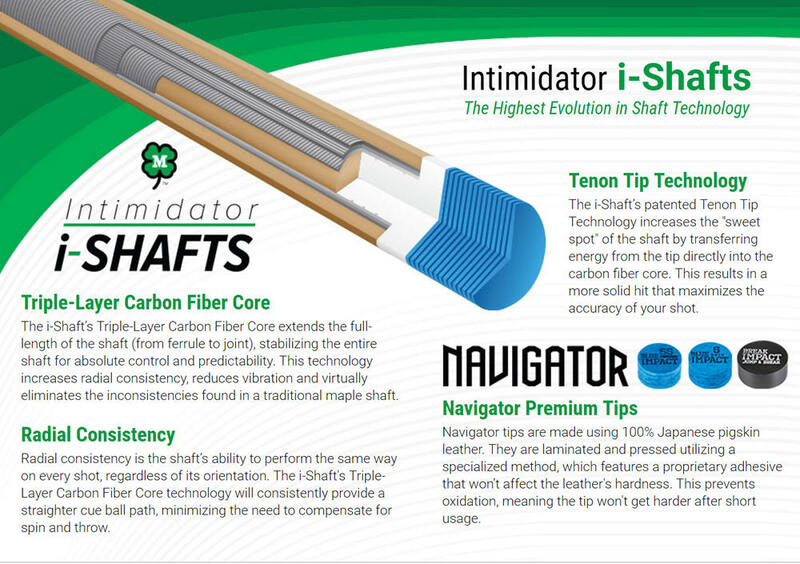 The McDermott Intimidator i-Shaft’s carbon fiber core extends from ferrule to joint, stabilizing the entire shaft for absolute control and predictability. 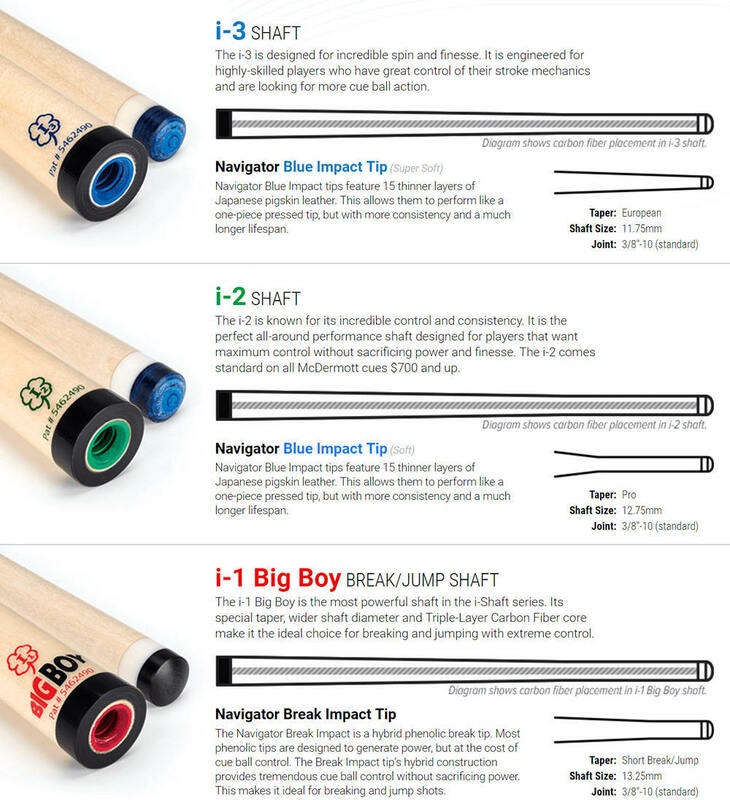 This virtually eliminates the inconsistencies found in traditional maple shafts, resulting in total control at all shot speeds. No Charge on Navigator Tip Selection.